D 13mm. Is designed for «silicon on sapphire» sensor element. 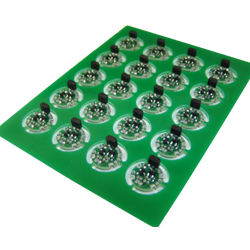 The strain gauge pressure transducers are made in the form Two-layer metal membranes connected to a single-crystal sapphire plate with a heteroepitaxial strain-sensitive bridge circuit.